Seal Software is the leading provider of contract discovery, data extraction, and analytics. With Seal’s machine learning and natural language processing technologies, companies can find contracts of any file type across their networks, quickly understand what risks or opportunities are hidden in their contracts, and place them in a centralized repository. 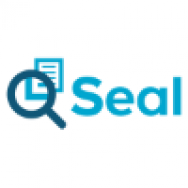 Based in San Francisco, Seal empowers enterprises around the world to maximize revenue opportunities, reduce costs, and mitigate risks associated with contractual documents, systems, and processes.